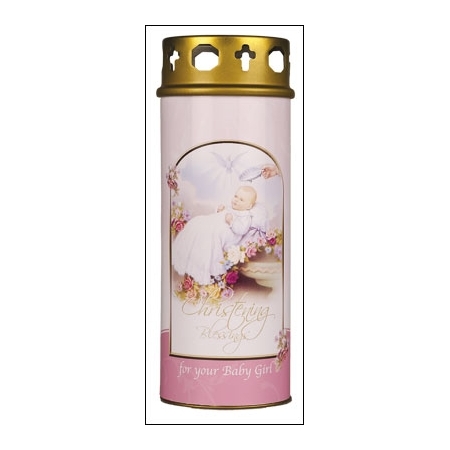 Lovely keepsake christening candle for a baby girl. You can ask the Priest to use this candle in the Baptism celemony and keep it afterward for the child. The size of the candle is about 60mm diameter and 170mm in height. It has a wind-proof top.